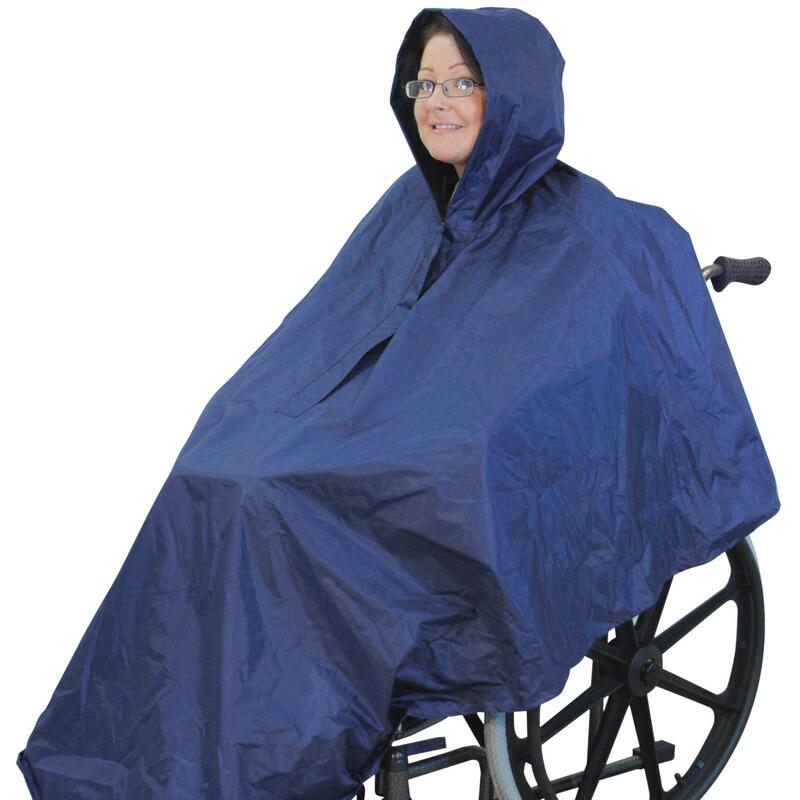 This Wheelchair Mac Extra Long size is a full length Wheelchair Mac protecting the wearer and their chair from the elements, made from a 100% Polyester fully waterproof material and completed with taped seams for added protection. 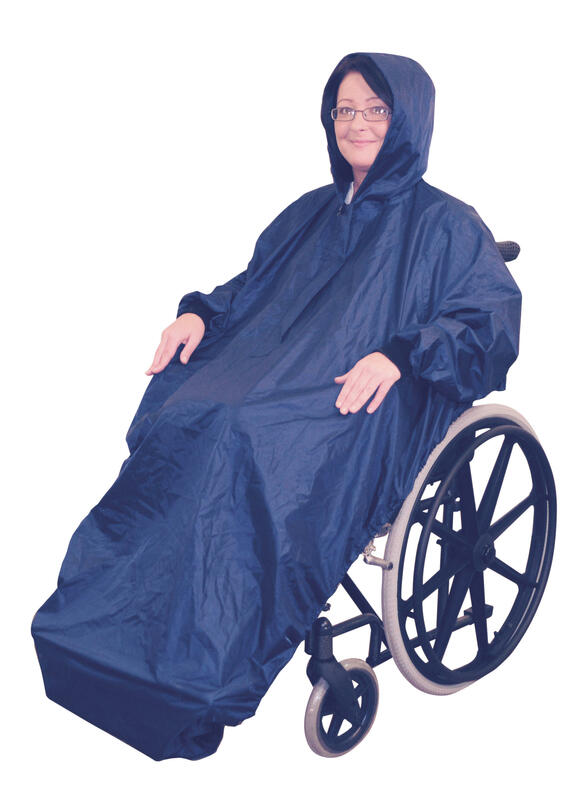 It has a drawstring hood and a neckline zip. 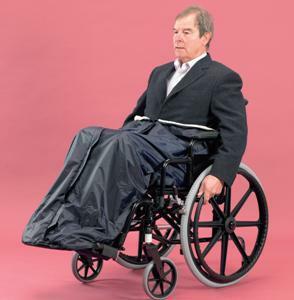 At the base of the mac there is an elasticated skirt to fit snug and easy over the base plate of the wheelchair and rear slots at the back to enable the garment to fit over the push chair handles. 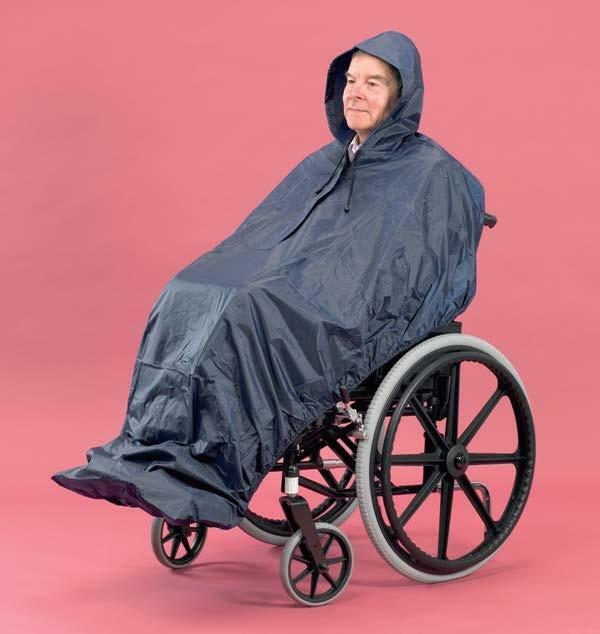 Comes in Navy Blue colour this wheelchair mac is machine washable to 30 degrees C. Like the Standard size Wheelchair Mac without sleeve this is also super value. You can see the standard size in the accessories section. - Unzip neck and place over the user and the Chair.